Now that the final weekend of October is upon us, it is time for Hollywood Gothique to issue our last-minute Los Angeles Halloween Recommendations for 2018. 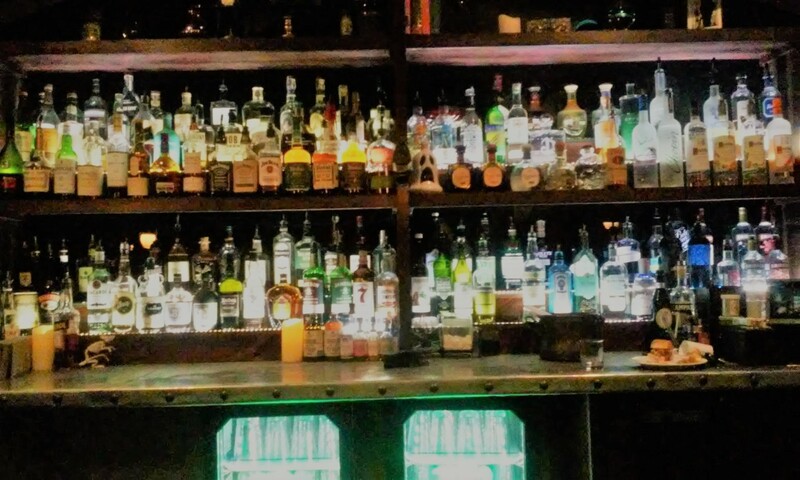 There is a vast multitude of fascinating attractions in the greater Los Angeles area, which you can find categorized on our Halloween Haunts page. A quick perusal will reveal far too many to see in the time remaining. Below are the ones we think you would regret missing. Note: Follow the links in the text to get information on dates, times and locations. 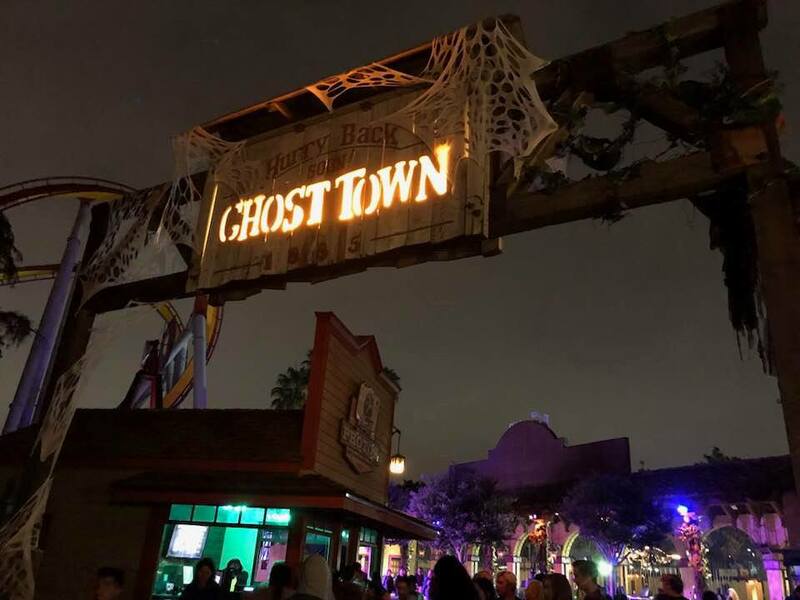 This is an easy pick: The Knotts Berry Farm Halloween Haunt in Buena Park is by far the winner in this category, with two new mazes that rank among their very best, The Depths and Dark Entities. Knotts Scary Farm continues this weekend and Halloween Night. The haunt is reviewed here. You can see our video of The Depths here. Halloween Horror Nights at Universal Studios Hollywood is a disappointment this year, but the Universal Monsters maze makes it worth visiting. The walk-through recreates the monsters that Universal Studios made famous in movies from the 1930s and 1940s, with updated makeup for the new millennium. Great stuff! We reviewed Halloween Horror Nights here and provide a video of the Universal Monster Maze here. Find more on our page Halloween Theme Parks. No top pick here - just lots of recommended Halloween haunts in alphabetical order. All Saint’s Lunatic Asylum is an excellent haunted house worth the long drive to Apple Valley. It continues through October 31. Reviewed here. Boney Island: The former yard haunt is now a professional attraction – bigger and better than before. It’s open through Halloween in Griffith Park, next to the Ghost Train (see below). Read our review here, and watch our video here. Horror Made Here: A Festival of Frights - the relatively recent Halloween event at Warner Brothers, combining a back lot tour with indoor mazes and an outdoor scare zone - is smaller in scale than Halloween Horror Nights at Universal Studios, but it features one of our favorite attractions this year: The Exorcist: Forbidden Screening offers a series of memorable clips from the 1973 horror classic, enhanced with in-theatre effects that have audiences jolting from their seats in terror! Reviewed here. 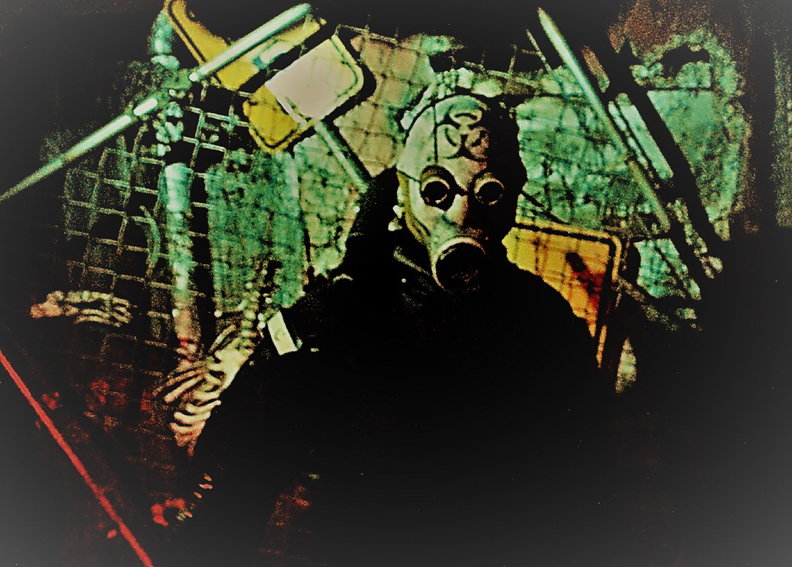 HorrorWorld is a multi-haunt attraction in the Puente Hills Mall, featuring three mazes, a VR Experience, and vendors. This includes Into the Black, which is creepy in a way that few mazes ever achieve. Horror World is open through October 31. Read our preview article here, and see our video interview (including clips of the mazes) here. Los Angeles Live Steamers Ghost Train (pictured at top) has added some great new features, making a return trip pretty much mandatory for fans. Zombies, Dinosaurs, Frankenstein! What more can you ask for? Video here. Reign of Terror Haunted House in Thousand Oaks is an incredible twenty-minute walk through; featuring multiple environments (Victorian Mansion, Asylum, etc), it’s like half a dozen haunts rolled into one. Reign of Terror is open this weekend and October 30-31, followed by a special lights-out encore on Saturday, November 3. 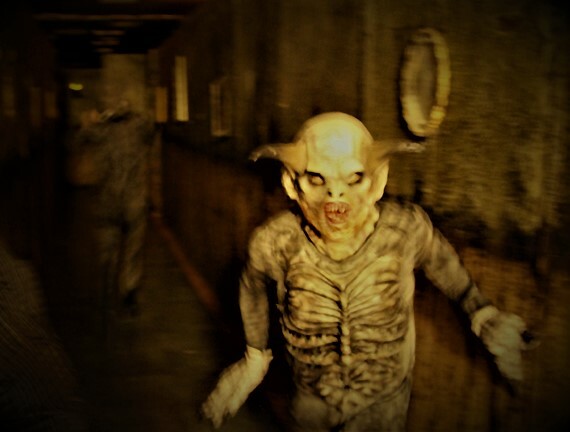 Visit our page dedicated to the haunt, to see videos and photographs. Find more on our page of Halloween Mazes and Rides. Rotten Apple 907 and the Backwoods Maze in Burbank offer walk-through haunted house experiences on par with professional attractions. Reviewed here. We also expect great things from Spooky Hollows in Van Nuys, Beware the Dark Realm and Pumkin Jack's Haunted House in Santa Clarita and from Murder house Productions in Thousand Oaks. You can find information for these yard haunts on our page of Halloween Home Haunts. The Jack the Ripper Haunted House asks you to solve the mystery of the world’s most famous serial killer. The free-roaming VR experience has you exploring multiple floors of an old wax museum as you search for clues. We guessed the answer – can you? The attraction runs at Mountasia Family Fun Center in Santa Clarita through October 31. Reviewed here. 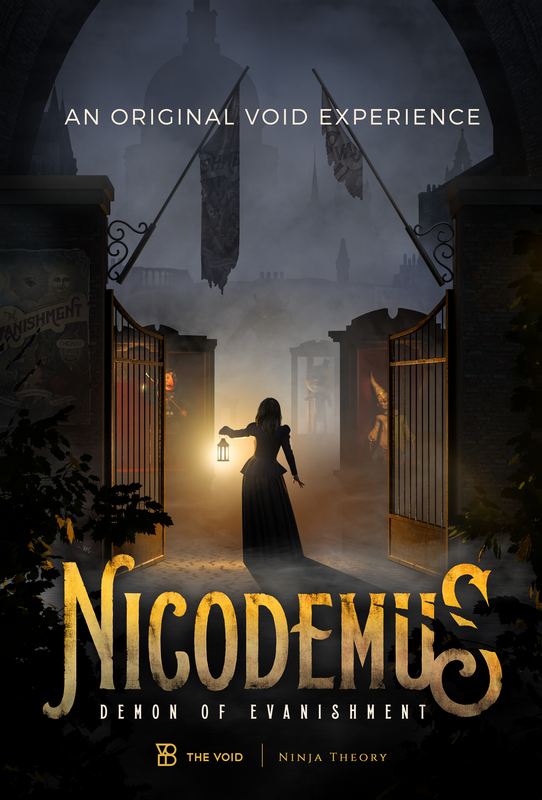 Nicodemus: Demon of Evanishment is an even more elaborate VR experience, which puts you on the trail of a demon that disrupted a World’s Fair a century ago. Like other VR attractions created by The Void, this one features actual physical interaction with props and sets. Along with the Void’s previous effort, Ghost Busters: Dimensions, Nicodemus runs daily at the Glendale Galleria through November 2. Preview video with clips and interviews here. 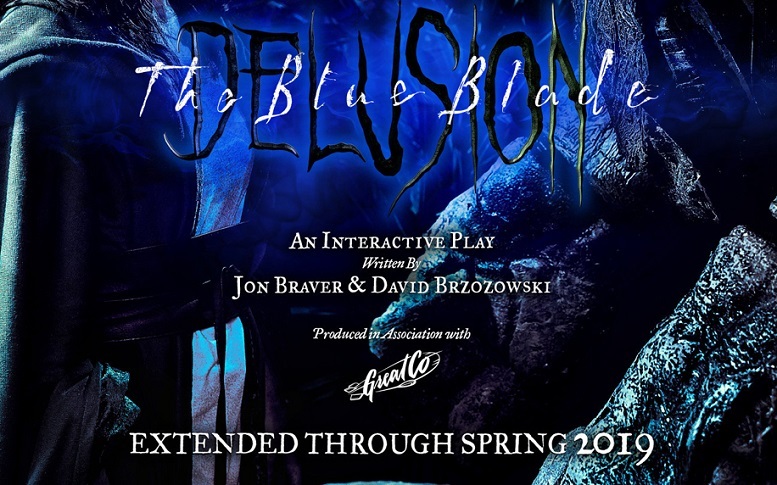 Delusion: The Blue Blade: We're not really recommending you see Jon Braver's renowned immersive theatrical experience this week – but only because performances are sold out through December. Fortunately, the show will return next year, giving us all something to look forward to. Reviewed here. Drama After Dark: A Night of the Macabre with Poe and Gorey makes its annual appearance in the Huntington Gardens on Saturday, October 27. Based on the works of Edgar Allan Poe and Edward Gorey, the production consists of a dozen short plays performed in various locations, mostly by a single actor or actress delivering the text directly to the audience. It may not sound like much, but thanks to the cast, the results are absolutely enthralling. Learn more here. Dr. Zomba's Ghost Show of Terror - which we enjoyed for a second time last Saturday - spoofs the old Midnight Spook Shows of yesteryear, providing enough magic and mayhem to raise the dead. Staged inside the Complex Hollywood's Flight Theatre, the play runs Friday and Saturday at midnight, with a matinee on Saturday as well; then closes with a final performance on November 3. Get details here. Reviewed here. Illusions of the Passed: Legends of Queen Mary is a theatrical séance mixing magic and illusions to great dramatic effect. Performed in a small theatre, the show is intimate, involving every willing audience member in some way, with mysterious and thrilling results. The show continues at the Queen Mary Hotel through next year, so you can afford to wait while you visit other attractions in the remaining days of October. Reviewed here. 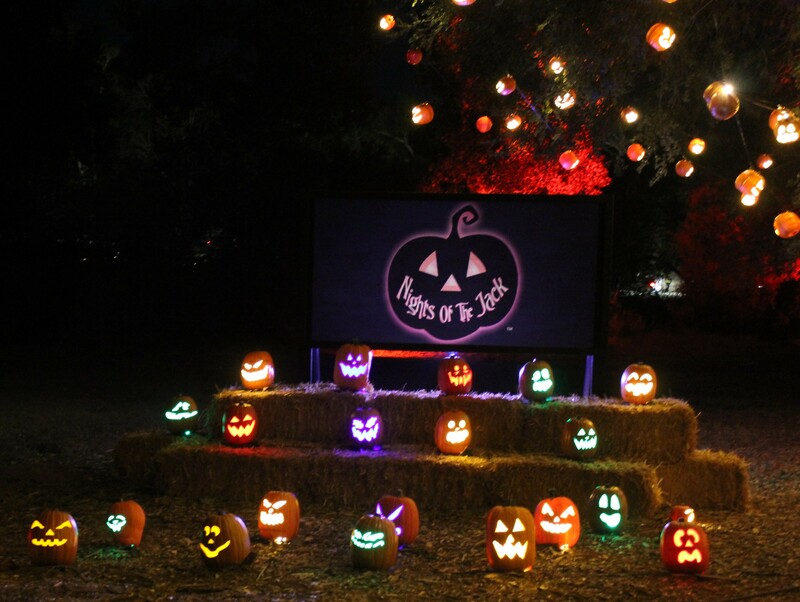 Nights of the Jack: A Halloween Jack O’Lantern Experience fills the void left by Rise of the Jack O’Lanterns. 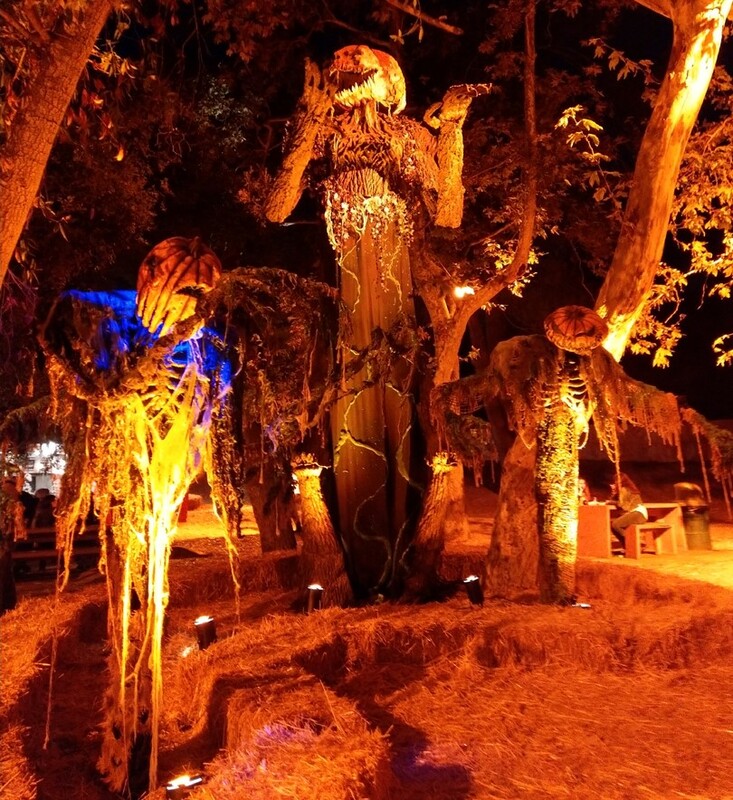 Thousands of carved pumpkins create a series of amazing art installations on the grounds of the King Gillette Ranch in Calabasas. Nights of the Jack runs through November 4. Reviewed here. Señor Plummer’s Final Fiesta, the new interactive play from Rogue Artists Ensemble (creator’s of last year’s Kaidan Project) has only a small scare element, but it is filled with magic realism, as a book signing party sends the audience into the past, where they follow the lives and loves of Eugene Plummer, whose name graces Plummer Park in West Hollywood, where the play is performed. Final Fiesta runs through November 18. Reviewed here. Tim Burton's The Nightmare Before Christmas screens daily through Halloween in Hollywood's El Capitan Theatre. The 4D presentation includes the 3D conversion of the film, enhanced with live effects in the theatre, including, lights, wind, fog, and snow. Details here. Vampirates offers an entertaining fusillade of fun - including stunts, sword fights, and songs - as literally blood-thirsty pirates take to the high seas. 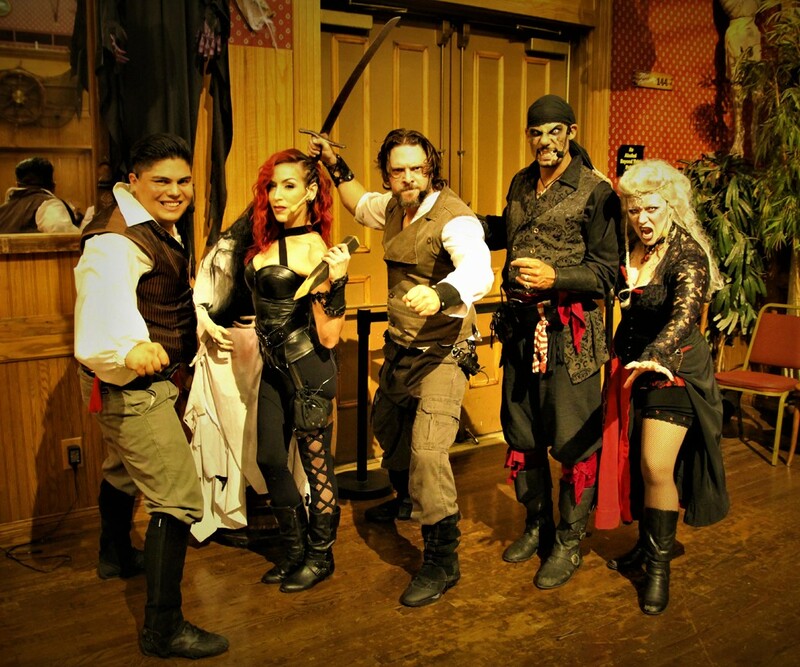 The show continues daily through October 31 at the Pirates Dinner Adventure Theatre in Buena Park. Mention the code V-GOTHIQUE 18 for a discount. Reviewed here. The Wicked Lit Halloween Theatre Festival is offering a pared-down version of its usual show this Halloween, with only two short plays; fortunately, one of them, Teig O'Kane and the Corpse, ranks among their very best work. Wicked Lit continues on select days through November 10. Reviewed here. Find more on our page of Halloween Tours and Shows. Here are a some one-day-only events, happening this weekend, that offer a change of pace from haunted houses and other scary Los Angeles Halloween attractions. The annual Dia De Los Muertos Festival takes place in Hollywood Forever Cemetery on Saturday, October 27 from noon to midnight. Read last year's review here. 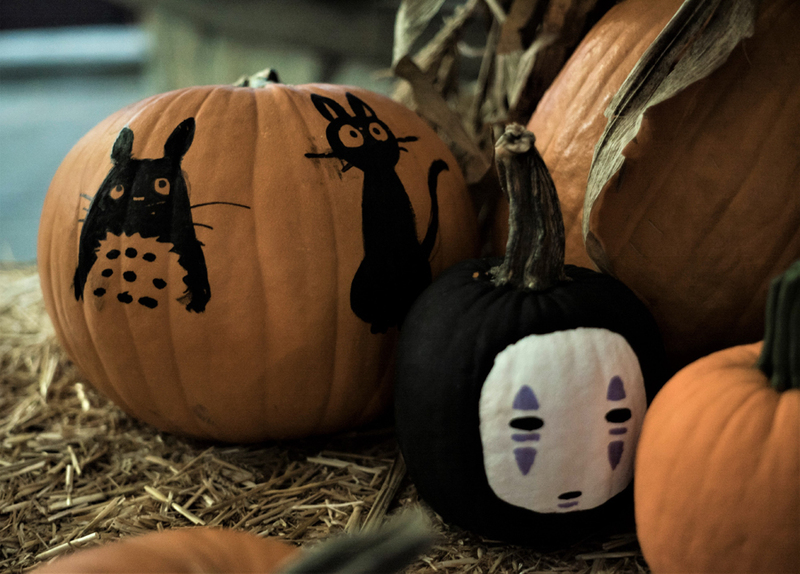 Haunted Little Tokyo (pictured at top) wraps its month-long series of events with a block party on Saturday, October 27 and trick-or-treating on Halloween. Get details here. The Santa Monica Zombie Crawl invades the Santa Monica Pier and the Third Street Promenade on Saturday, October 27, starting at 6pm inside Rusty's Surf Ranch. See our video of the event here. Find more on our page of Halloween Festivals and Fun. A Tragedy of Galactic Proportions: Nova Express Cafe is Closing! March 2, 2008 Steve Biodrowski Comments Off on A Tragedy of Galactic Proportions: Nova Express Cafe is Closing!